Over the past 30 years, Kirk has performed and recorded with a wide range of musical luminaries including renowned opera legends Denyce Graves and Timothy Shew, and Columbia Artist newcomer Chris Tiesi. He has performed with multi Grammy-winning jazz trumpeter Terence Blanchard and the 2015 Grammy-winning St. Louis Symphony Orchestra. Kirk can be heard on recordings with jazz guitar icon Frank Vignola, fingerstyle virtuoso Tommy Emmanuel, and rock legend Mark Knopfler (Dire Straits), among many others. He has even performed with the likes of Phyllis Smith, who played Phyllis on T.V. 's "The Office"! He regularly performs in concert throughout the US, Europe, and Japan. 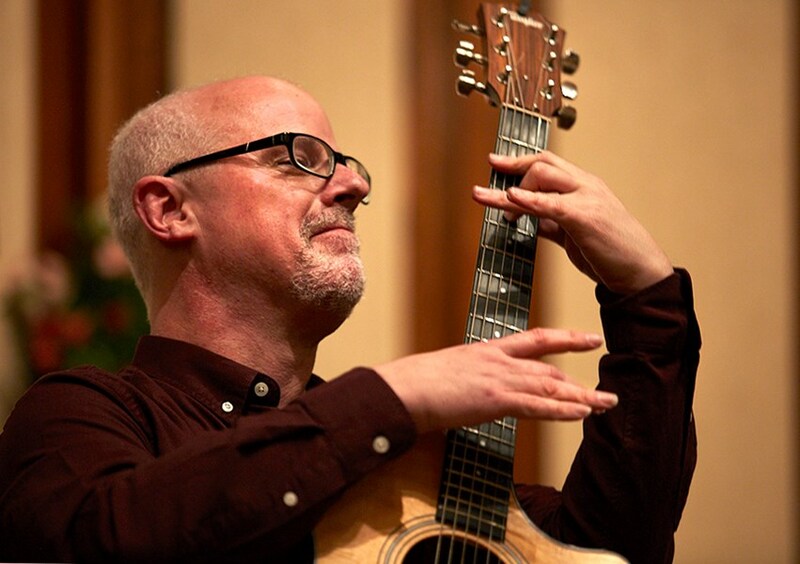 Kirk's regular recordings and performances with John McClellan (the Hanser-McClellan Duo) since 1996 have been touted as "an absolute winner in every way" by the St. Louis Post-Dispatch, and "full of color and a real surprise throughout" by Classical Guitar Magazine (UK). 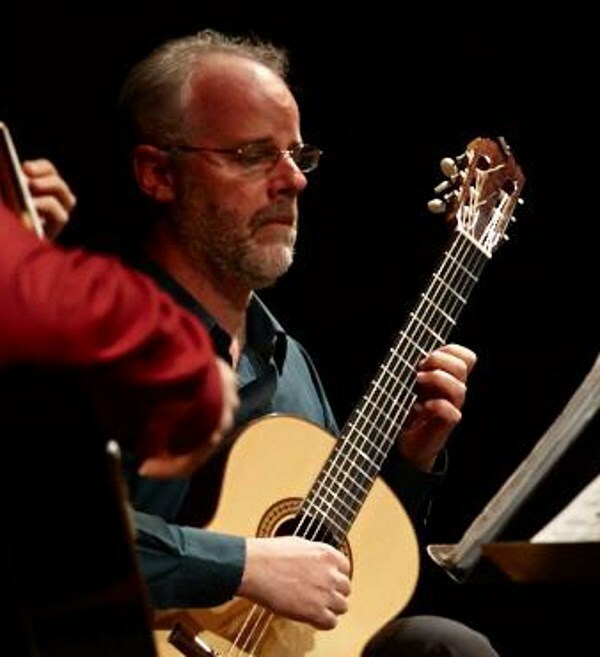 One of his most recent recordings,"La Vida Breve" by the Hanser-McClellan Duo, was called "...passionate, beautiful...guitar playing at its highest order" by Fingerstyle Guitar Magazine (U.S.). Kirk lives in the St. Louis area with his four children. 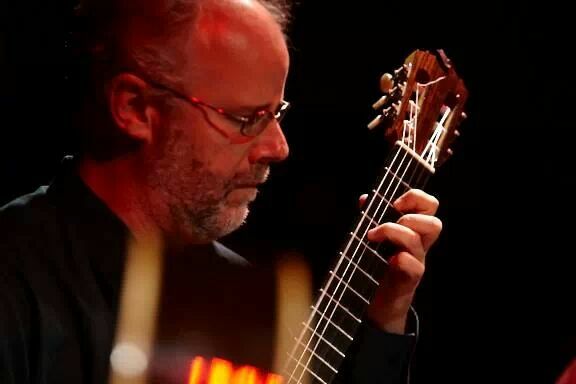 He currently lectures and teaches for several colleges and universities (the HMGD is ensemble-in-residence for Webster University), arranges music for events and publications, and acts as director for both the Childbloom Guitar Program and the St. Louis Academy for Guitar. Locally, Kirk performs regularly as an on-call guitarist with the St. Louis Symphony Orchestra, Opera Theater St. Louis, and the Muny Theater, as well as weddings and corporate events. Kirk was very professional and easy going. Our members enjoyed his playing. This is the first time I had booked through gigmasters and it was a wonderful experience. I would hire Kirk again! Thanks so much, Bryan, it was my pleasure! Kirk was absolutely amazing!! He was so sweet when I last minute changed the time. He is incredibly talented and even played a few requested songs. Kirk added so much to our family party and cannot wait to have another event to have him back. Thank you so much Kirk!! Madison, it was truly my pleasure. Thanks again so much for having me! Wow wow wow!!! Seriously he was so amazing! We had wonderful comments from all our guests:)) I would recommend him every time to anyone and everyone! Thank you for making our special day one to remember. Loved every second! We have used Kirk twice for corporate dinners. He is reliable, professional and by far the best acoustic guitar player in St. Louis in my book! Kirk helps make my events seamless. Kirk was fantastic! He was great to deal with, arranged and played the songs that we requested, and answered all my questions and requests before the wedding. My only complaint was that I didn't get to hear more of him playing! Can't wait to get our video footage back to hear more of his beautiful playing! Kirk is EXTREMELY talented and even learned a few songs we requested! Kirk is an accomplished musician and we were very pleased. He played during dinner. We had many complements and he was extremely easy to work with. A+ entertainment. Terrific, he received nothing but compliments from our wedding guests. Would highly recommend. Kirk provided wonderful entertainment for our event. He was very professional and prompt to our event, despite not having the most favorable weather conditions. We look forward to hearing him again. Kirk made our banquet complete! He was perfect! Please note Kirk Hanser, guitarist will also travel to East Saint Louis, Lovejoy, National Stock Yards, Venice, Madison, East Carondelet, Dupo, Granite City, Belleville, Caseyville, Collinsville, Fairview Heights, Columbia, Florissant, Millstadt, Saint Ann, Bridgeton, Hazelwood, Maryville, Edwardsville.